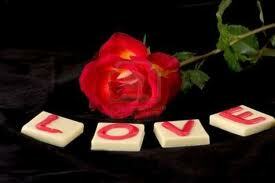 Professing your love to a college is good, but roses may be a bit too much. "Thank you so much for continuing to consider me via your wait list as a member of the University of Pennsylvania’s Class of 2015. Penn is absolutely my top choice, and if I am accepted, I will absolutely attend. My yearning to be a part of, and contribute to, Penn’s extraordinary student experience has grown exponentially in the past few months, and I hope that this letter will demonstrate my sincere commitment." The student then goes on to discuss the qualities that he liked most about the school and to update the school on his recent most impressive academic and extracurricular accomplishments. Who is dealing with it better? You or your parents? While there may be one applicant that you know who was accepted to all of her colleges, this is by far the exception. For most, there will be a mix of acceptances and rejections to process. How can parents help? Of course, it depends on the student. For some, simply stepping back and giving some breathing room is all that's needed. For others, a more hands on approach is required to help soothe those open wounds. Here are a few tips for parents laid out by writing coach Julie Fingersh. Don't try to explain it away, but meet your child where he or she is. Rejection is tough for anyone, but getting rejected from a dream college might feel like a student's whole future hopes have been crushed. The first step is to simply acknowledge how bad it feels. Tell your own related stories of rejection. Sharing that you aren't perfect and have also struggled and lived to tell about it can help your child to find the silver lining in the situation. Try to tease apart "reality vs. appearance." While this may look and feel bad to your child, the reality is that college does not define a person, nor does it determine one's future. A few well-chosen facts may come in handy when your child is ready to listen. Here's one to keep in your toolbox: "A 2014 Gallup poll found that when it comes to hiring, a mere 9 percent of U.S. business leaders ranked where a candidate went to college as 'very important.'" Once the sting has lessened, share this article on what makes people stronger. If it's well-timed, it will help to put things back in perspective and enable your child to start to make the most of the options that are available. What are the top 10 things you're looking for in a college? Be sure to research the admission pages of a college's website before you go, and try to connect with the college representative for your high school while on campus. You can also request an appointment with a professor, financial aid officer, or be connected with a current student during your visit. Scheduling a visit can usually be done online through a college's website, but be sure to reserve several weeks in advance to make sure that you have a spot when you arrive. The best times to visit are during your spring or fall break, but it's best if college classes are in session when you arrive as you want to get a realistic feel of day-to-day student life. Visits are best with a parent or caretaker who is supporting you through the process. Attending with friends may take away from your personal reaction to a campus. Expect the visit to begin with an introduction by an admission representative which includes a question-and-answer session. You will then take a group walking tour of the campus which may end with lunch in the student cafeteria. After returning home, be sure to send a note or email thanking your representative, and stay in touch with colleges that remain on your list. Keep a file for each college containing notes and photos that will help you remember your experiences as you compare colleges. Forming your college list can be a great time to explore your personal interests and likes and dislikes. Avoid choosing a college simply because of who else did attend/will be attending it, and try to form your own opinion so that your college years can be as rewarding as possible. For more information on taking advantage of your college visits, check out this article. 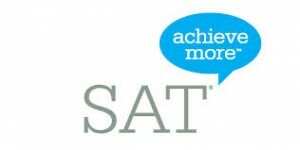 The SAT will return to a 1,600-point scale with a maximum of 800 in math and reading taken in three hours, and an optional 50 minute essay scored separately. There will no longer be a guessing penalty where points are deducted for wrong answers. Vocabulary will focus on commonly-used college-level words, rather than words that are out of use. Reading passages will contain excerpts from "founding documents" and historical texts, as well as source documents from science, social studies, and other disciplines. Math will focus on the type of math required in college courses and beyond including linear and complex equations, ratios, percentages and proportional reasoning. Calculators will only be used on some sections. The optional essay will require analysis on how the author has used evidence and reasoning to support his position. Check here for the unveiling of a sample of the new SAT on April 16.